The Love Riddles Game: Whether you’ve been dating a few years or married for decades, true love in a committed relationship is certainly cause to celebrate. Remember the simpler times when we would ask each other silly riddles and then laugh our heads off at the simple answers and then cuddle? Why not relive these moments with your partner? 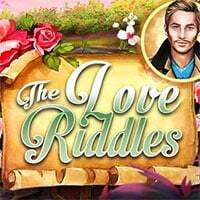 Cynthia loves a wide variety of puzzles and brain teasers, but one new love riddle has a surprisingly heartwarming spin. Today her husband Nicholas has prepared an interesting and romantic game for their marriage anniversary. He gathered some goofy and cute riddles to ask the love of his life. It will be fun to see her scratch her head in confusion and then laugh at these adorable love riddles. This will put some extra spark back into your relationship. Cynthia must accurately solve all the love riddles that her husband has cleverly assembled. “I can be blind, I can be powerful, I can be difficult, deep, complicated, and tender at the same time. What am I?” Love, of course. Are you intrigued already? The game can start.